On October 29, 2012, Hurricane Sandy battered the Eastern Seaboard of the U.S causing massive damage. Much of the worst damage was centered on communities along the New Jersey shore. 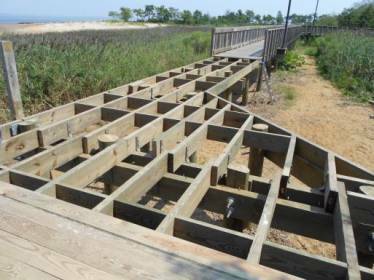 Old Bridge Waterfront Park in Middlesex County, New Jersey suffered $5 million in damage that included the destruction of most of the boardwalk, as well as heavy damage to the fishing piers and other facilities in the park. When repairs were begun in early 2013, the County Parks & Recreation Department contacted Portland Bolt directly. 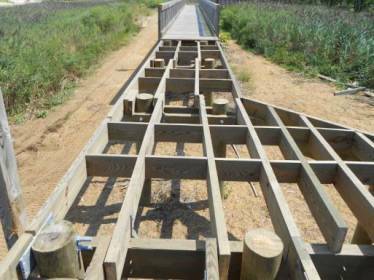 Within a week and a half, Portland Bolt was able manufacture and ship all of the hot dip galvanized hardware including lag bolts, ogee washers, and long hex bolts that were required to repair the boardwalk in the Pirate’s Cove Section of the park. 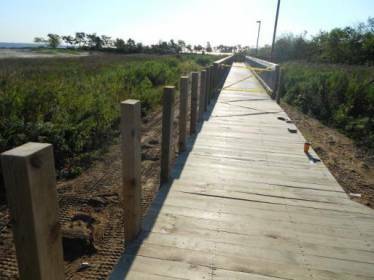 Portland Bolt has also supplied product for scores of Hurricane Sandy related projects including the Seaside Heights Boardwalk and Casino Pier, the 7 Mile Beach Fill repairs in Stone Harbor, numerous power grid and substation repairs, and numerous bridge and marina rebuilds.